Now some 17-years-old, SharePoint continues to rapidly grow and infiltrate the enterprise: 200,000+ organizations use SharePoint, representing 200 million users. And it aims to dominate cloud computing also, with the release of SharePoint 2019 and the online companion as part of Office 365. 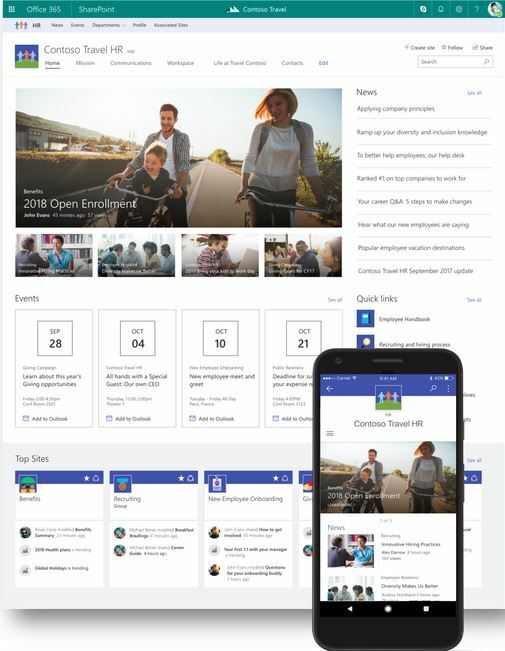 SharePoint 2019 was just unveiled, with great fanfare and buzz amongst those inside or close to the Microsoft community. But to most average users and administrators without insider caché, the new release – three years in the making – was met with little more than a nod. And very few have indicated they will rush to implement. Though those with Office 365 automatically have the latest features in SharePoint Online. SharePoint’s greatest strength is it’s an all-in-one approach – it’s a portal, a content management system, a search engine, a social collaboration platform, a web development platform, and so much more. Its greatest weakness is that it’s an all-in-one solution – everything and the kitchen sink; a jack-of-all-trades, a master of none. Some argue that SharePoint is a “mile wide, but a foot deep.” It offers so much, but some features are seen as still ‘developing’ or even sub-par. But there are a lot of tools and features, and with each release, it gets better and better (though more complex).